Katy Donlan advises high-net-worth individuals and families on structuring their wealth to minimize income, estate, gift and generation-skipping transfer taxes. She counsels clients on optimizing governance to facilitate continued ownership and operation of family-owned enterprises while balancing the unique needs, goals and skills of individual family members. Katy also has experience advising on the wealth transfer tax planning opportunities of IPOs and other events by which clients divest control of high value assets. She has worked extensively with family offices and advisors to provide comprehensive, holistic and strategic advice. Katy also counsels clients on achieving their charitable objectives, including through the creation and ongoing management of private foundations. Katy is experienced in a wide range of transfer tax planning strategies, including grantor retained annuity trusts, sales to grantor trusts, qualified personal residence trusts, family limited partnerships and limited liability companies, life insurance trusts, dynasty trusts and charitable split-interest trusts. She is also experienced in restructuring dynastic trusts and relocating the situs of trusts to maximize flexibility and duration, while minimizing state income tax exposure. Additionally, Katy has worked with multi-national families on a range of cross-border planning issues and opportunities. Katy’s practice also includes advising fiduciaries on the administration of complex estates and trusts and working with fiduciary litigators on tax, trust and estate matters. 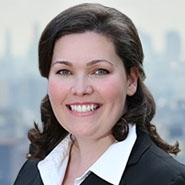 Prior to joining Herrick, Katy was an associate in the New York office of Skadden, Arps, Slate, Meagher & Flom LLP.